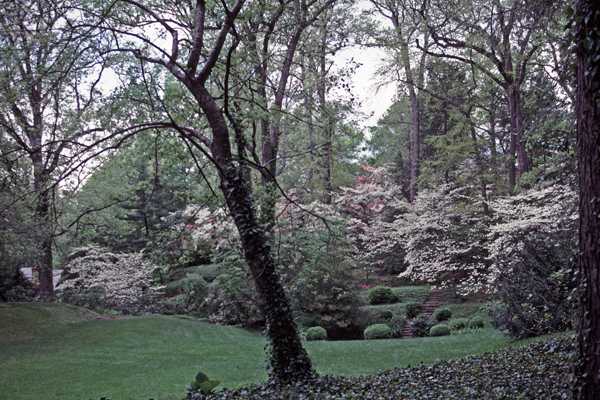 This three-square-mile suburb northwest of Baltimore, comprising more than 800 acres, was developed between 1890 and 1920 and was one of the most successful and widely imitated of the so-called “streetcar suburbs.” It was the city’s first residential subdivision to incorporate deed restrictions that conveyed with the property. Such “restrictive covenants” became a common tool used to maintain a high quality of design and standard of construction. 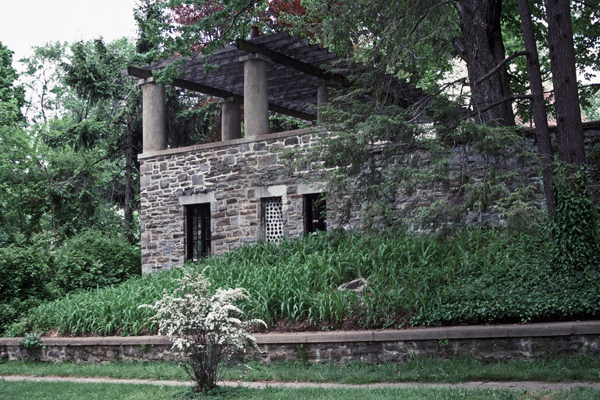 In 1891 General Manager Edward Bouton engaged Kansas City landscape architect and planner George Kessler to layout Plat 1, a relatively flat site. In 1901 the development expanded to Plat 2. 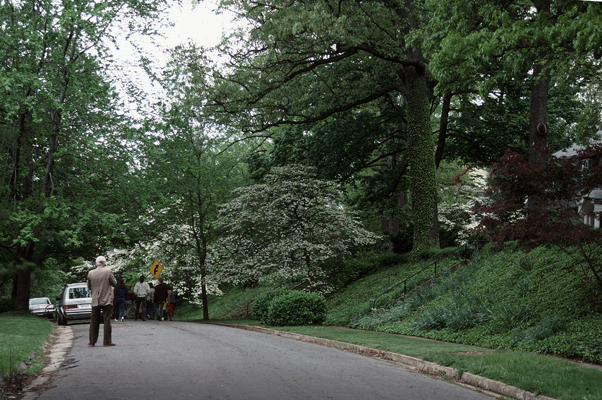 Frederick Law Olmsted, Jr., developed the plans for this challenging terrain, designing a Picturesque landscape of hills, valleys, forest and open space. Over time a total of six plats were developed. 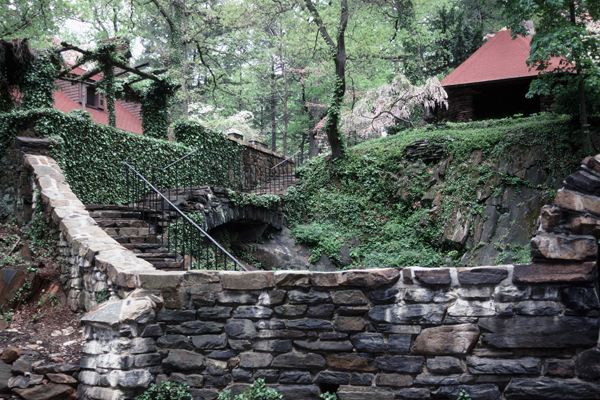 The eclectic architecture of the houses referenced both historic styles and the Arts and Crafts movement. Charles Platt designed all the houses and landscape features on the street known as Goodwood Gardens. Bouton facilitated the construction of an elevated railway link to the city, as well as University Parkway, which connected the suburb to major city roads. Bouton is also credited with developing the first planned shopping center in the country, built in the English Tudor style, as a community amenity. 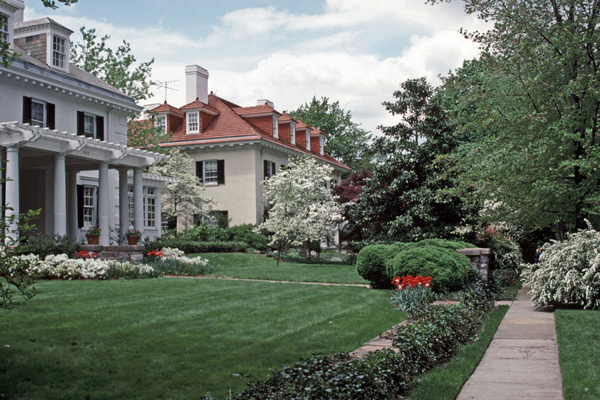 Now home to more than 11,000 residents, Roland Park was listed in the National Register of Historic Places in 1974.